How do you know if you’re a scanner or sparkler? When you find a blog sharing what you want to know and you read more than just one post! You keep coming back and doing research and learning more and more. That is what Donna Anderson has been doing (follow her on Twitter @SheWritesALot). As she picks up new wisdom, she blogs about it which brings her blog higher visibility and more incoming links for her services as a freelance writer. Yesterday she published Guest Blogging VS Article Directories: Can I Make $5000 In One Month? She had come across a #FollowFriday recommendation for @youngprepro about a 17yo blogger who says he makes $3000+ a month writing and blogs about How To Make Money Writing. With more bloggers to tweet about your new post (or share it elsewhere), your odds of having a post go viral – as the Content is Not King guest post on GrowMap did recently – are greatly enhanced. That post was RTed 377 times and got 3,120 page views (as of today). Unlike article marketing which usually strongly limits links, some bloggers – like me – are link happy. We encourage our guest bloggers to put serious thought into what anchor text and landing pages will be used in their guest post. THAT is THE most important thing any blogger should be doing! I’ll even assist bloggers in selecting their keyword phrases because I find that most choose poorly at first – either far too specific (no one will ever be searching on that!) or far too general (too competitive to get onto page one of Big-G for AND just as important, not targeted enough to actually convert!). Figuring out where the balance is when blogging is the tough part. As Donna mentioned, how much do you want to write for free (which can greatly grow your business) versus how much paid work do you want to do (and while you’re doing that how much will your blog and traffic slide)? How much time do you want to focus on writing versus how much time should you spend commenting and promoting? Lisa Drubec (you can find her on Twitter @friendlyblogger) wrote an Alexa Slap post which could be a Case Study on what happens if you stop commenting, tweeting and using other social media. You will definitely want to check out her results instead of trying it yourself! So, do you have a great idea for a guest post for GrowMap? Or are you seeking writers to hire? I know many of the best and might even consider some paid writing myself for a blog or company whose ethical standards align with my own. That might be you! You know what to do: contact me! Than Focusing on Quantity, Article Marketing or Link Building. We have some awesome site lists at Weebly for guest posting which allow guest authors. There are lots of benefits like quick response, fast approval and so on. You could really enjoy it. I’ve been trying to figure out the best way to get backlinks for some time now. A lot of people advocate using article/blog networks with spun articles. I’ve been doing that recently but I kept thinking that there had to be a better way. Now I can see why guest blog posts make perfect sense. If you can get your articles published on other high quality blogs with links back to your site, it is like instant credibility. I can see how links like this would be worth a hundred times more than spammy blog network links. If there are any good writers out there who can write about technology and gadgets, I’d love for you to contact me. This website will contain research based articles on the side effects of various things including medicines, food supplements and a lot more. As this project is in the preliminary stage we won’t be able to pay for the content but can offer you your own Author Bio Box that we’ll set up for you. It’s interesting to see most of the big sites that already have consistent traffic using Guest posts to broaden their base, attract new readers, who will hopefully stay. I think it is a great opportunity for both the writer and the blog, they will both benefit greatly if the guestblog is good and in the same niche. We are looking for some guest bloggers to write articles for our new automobile website autounleash.comWe will offer back links to our authors and also if they become permanent writers, then we have planned to create a page regarding our esteemed authors to let others know about them. Please contact us if you are interested or if you can recommend someone to us. We will be thankful to you. Would you consider a guest post on your blog for my niche? I know its a bit borderline but I guarantee the post will be perfectly written and certainly unique. Do you use Skype or IM ? I would be happy to discuss your guest post idea with you. You might read the post I’ll put in CommentLuv for ideas on how small business, location and content marketing can fit together. You could write about how Local Search Directories have grown your parking business. Or how you use Twitter, Facebook, StumbleUpon or blogging to grow your business. Or any specific strategy that you use including blog outreach for small businesses. Or the impact using CommentLuv or commenting has had on your SEO efforts for your small business. See my Small Business Internet Marketing post (featured in CommentLuv in this reply) for more ideas. Many businesses do not yet “see” how all these Internet technical things apply to them so businesses like yours who use them can be very helpful to getting them to better understand and start benefiting from them. Nice post! I have actually been searching for a guest blogger in the technology field for a while. I only have back links to offer the blogger. But I don’t know how to find the guest blogger or how to find the one that would match our product and benefit both of us. Any tips? Have you tried looking at My Blog Guest? That is where I would start. You could also do a search by keyword phrases or topics related to your own site using Zuula, click on blog search, and see who else writes similar content. 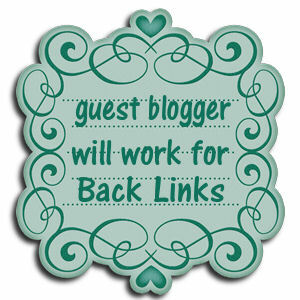 Most bloggers are not currently being paid for post, so back links from a related blog are a common exchange of value. If I knew more specifically what type of guest posts you’re interested in I might be able to introduce you to bloggers that would fit. Harnessing the power of others to boost your blogging efforts – especially when it is a win win situation can have massive benefits. This is a good blog. Keep up all the work. I too love blogging and expressing my opinions. Thanks Awesome, that?s exactly what I was scanning for! You just spared me alot of searching around & I am glad to be one of several visitors on this outstanding website (:, regards for posting . Guest posting is something extremely useful and interesting, you always learn something new when guest posting, you have the ‘honor’ of posting on another person’s blog and get acces directly to his/her readers which is something really cool, and also – marketing and SEO benefits (backlink, etc). Guest posting is a great thing in my opinion. Thanks for sharing! I read an article similar to this the otherday. While guest blogging is super beneficial, what if you are not such a great writer, or you have a style all your own that others don’t quite get or like. What should you try then. Always try, submit and see what happens. One of the things many bloggers like about guests IS that different style, depending. If you find yourself getting rejected more then accepted, start asking why…take their feedback to hart and see if you can make some changes. I would agree, I’ve seen guest posts by individuals that weren’t strong writers, or by someone that was writing in a second language (and a bit harder to understand) but these posts still added value to the blog that it was being posted on. You may get rejected, just like any other writing gig, but it doesn’t hurt to try. Plus I would add if you have a quirky or unique writing style seek out blogs that have a similar writing style. Thanks Dennis and Chris for adding your suggestions in answer to this question. Many bloggers will edit guest posts for you – so if you are not the strongest writer, or English is not your native language, or you just aren’t that good at spelling and grammar – guest posting could be perfect for you. Content and having something to say are both more important than having a particular style. As Dennis mentions, sometimes different is more interesting. I haven’t really got into guest blogging yet because of time but will get into it once I get my own blog ready. I feel like I can write some pretty good articles however, its some really talented people of authority in this field and putting something out to people already so successful makes me nervous. Will check out some of the articles you mentioned. Guest blogging is so much fun and it is a great way to network and get your own site noticed. When you guest blog for someone or they guest blog for you, a new friendship is created. Guest blogging is a powerful thing! As usual, another great post! And thanks for mention! I don’t remember how I tripped over GrowMap but I’m so glad I did. Your posts are always so full of top-notch information that I almost hate to come here. LOL Every time I do I end up with a whole new list of things to do! LOL But I keep coming back because you give spot-on advice. One of the things I like best about GrowMap is that you’re not afraid to refer your readers to other sites for more information. A lot of bloggers won’t do that for fear the reader won’t come back. But I think you’ve proven very well that readers WILL keep coming back because A) you’re giving them quality information and B) you’re linking out to actual sources of information instead of just posting it as heresay on your blog. Linking to your source always helps add credibility to your own article because your readers know that you actually did some research before you started blogging about it. I have read the blogs that you have mentioned here (which claims to earn $500 in a month for writing ).He also said that guest writing is very useful as well helpful as it provides a new stuff for the blog owner and fame to writer. I am very proud tom be a guest contributor to this blog. IT has served me well and having Gail coach me has magnified my blog efforts ten fold. I can only image Lisa’s results were a little short of dismal, but to play the devil’s advocate I have had some posts on sites where I did no promotion or commenting for and it turned out to be a very well visited page. Maybe the spiders that day weren’t quite so hungry for flys. On one of my blogs I had just that. I did no promotion what so ever and every stormed to it. It was one of those hot topics that day. I guess the spiders were blood thirsty that day! 🙂 I am wanting to Guest post here and wonder how though! Thanks for the link love 🙂 I strongly recommend people take your advice and DONT TRY THIS AT HOME!!! As always, appeciate the support you give me and the community! Quite a post, with some really juicy stuff in it! Just read Lisa’s blog… awesome experiment. Glad that she shared the results with us. Goes to show what we’ve been all saying about the importance of guest posting, blog commenting and social networking. On that note, would love to write an article for your site. Will be in touch soon. Michele Welch would love you to read ..Tweet It Forward Has Begun! Let The Game Begin! I’ve been saying it forever. Blog commenting has been my #1 traffic generator for yrs. No one wants to see it, as it’s actually a little WORK. Dennis Edell would love you to read ..Your RSS Email List is NOT Yours for Email Marketing! Guest blogging not only builds a community but is a great avenue to market yourself and your writing indeed! Dang I was thinking the same exact thing. I might just do a blog post here. Let me Know how you want it and I’ll be more than glad to submit a blog post! !